Apple typically confirms new iOS software, release windows, and betas during its WWDC keynote announcement so look to be well informed by the end of the day on June 5th. 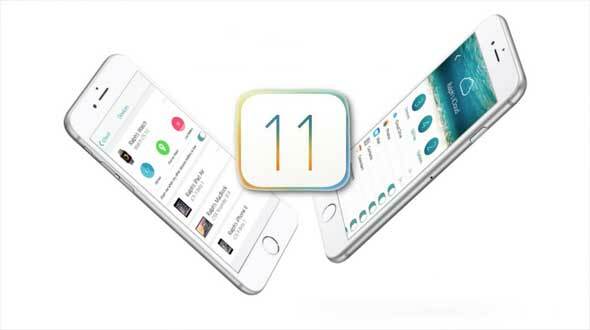 So, if you are also one of them who are waiting for iOS 11 to come to your device then this article can give you an idea on what should you expect from new OS from Apple. There are several areas where Siri needs improvement, especially compared to other AI assistants. I’d like to see an offline mode in Siri so you can use it without an internet connection. Also, text-based Siri input would be nice so you can type queries into Siri. Finally, a more robust contextual Siri engine would be nice so Siri can follow along with you in a conversation and not just answer single queries. The new Photos app is pretty robust–but one frustration remains: if you set up People albums on Photos on a Mac (or other iOS devices) they will not sync over iCloud Photo Library to all your devices. Other albums do, why not People? Handoff and Continuity are great features of iOS and macOS that allow you to, for example, start composing an email on one device and finish it on another. It would be great if Apple added Handoff support for media too. For example, you can be listening to a song in Appel Music on your iPhone, but when you get home to hand it off to your Mac or Apple TV. Same goes for movies too. Control Center was perhaps the best feature included in iOS 7. With a swipe, up from the bottom of any screen users could finally quickly toggle Airplane mode, Bluetooth, Wi-Fi, and rotation lock on or off. Users also finally got quick access to music controls and shortcut icons to Flashlight, Timer, Calculator, and Camera. What would be great, however, is if Apple would allow users to customize these four shortcut buttons. For example, I don't use the Timer that much, so I’d love to replace its shortcut button in Control Center with a button for Calendar, an app I use a lot. Oh yeah, and integrate 3D Touch gestures into Control Center customization. In iOS 10 Apple introduced Voicemail Transcription, which allows you to see a transcription of a voicemail message, without you needing to actually listen to the message. However, this feature in iOS 10 was only in beta–and it showed. Here’s hoping iOS 11 has a completed Voicemail Transcription feature that’s ready for prime time. This isn’t a feature specific to iOS 11, although it would benefit every iOS user. When Apple introduced Apple ID’s over 15 years ago they started out as membership IDs for people paying for their iTools and.Mac services. However, when the iTunes Store came into being in 2003, Apple started using Apple id's for that. Then for the App Store as well. The problem is over the last 15 years many people accumulated more than one Apple ID, leading them to make some purchases under one and some purchases under another. Needless to say, having one digital ID is best and leads to a lot less confusion, so here’s hoping this year is finally the year Apple allows users to merge Apple ID’s into one. With OS X Yosemite, Apple finally added Dark Mode to the operating system. This allows users to replace the white menu bar and dock with a darker version. Professionals love this because if they are editing video, photos, and doing other graphics work, the dark elements of OS X allow them to focus more on their work. While the iPhone and iPad aren’t as big of productivity devices for professionals as the Mac (though that is changing with the iPad Pro) we still think it’d be awesome to see a dark mode on iOS 11.
iOS’s Mail app gets better each year, but one thing still really bugs many users: the app shows all nested folders in your account, which means you have to do a lot of swiping to get to a folder you want. Apple should enable Mail to show/hide nested folders at will. It would make navigating the app much quicker. Smart Mailboxes have been around in macOS’s email client for almost 20 years now. But they still aren't creatable or sync-able on iOS. We’d love to see Smart Mailboxes comes to Mail in iOS 11. The Weather app for iPhone introduced in iOS 7 is one of the most gorgeous weather apps ever made. But why the heck isn’t it available on the iPad? Those beautiful weather animations would look amazing on the iPad's bigger display. Here’s hoping iOS 11 give us the Weather app for iPad.